Guiding you from the grisly ‘Hanging Green’ to ‘God’s Acre,’ this tour traces the lives of convicts – where they lived, worked, rioted and were punished. You will learn how they were treated by the emerging health care systems and where many of them were buried. Your tour features convicts who rose above their convict status by grasping opportunities in the developing colony. And you will discover less fortunate convicts who found themselves behind bars in the penal colony, at the end of a hangman’s noose, and destined for a pauper’s burial. 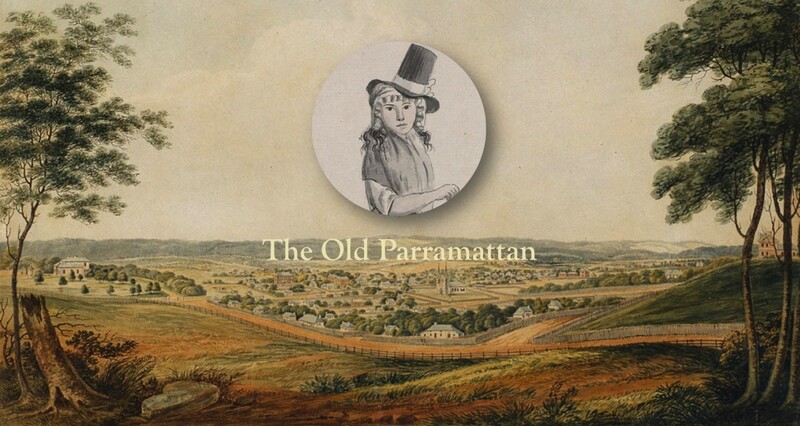 “Convict Parramatta” walking tour, content developed by Michaela Ann Cameron for The Dictionary of Sydney Walks app (2015), available for both Apple and Android devices via the App Store and Google Play. Image: Dictionary of Sydney Walks app. The tour starts in Parramatta Park in front of Old Government House. The Dictionary of Sydney Walks app lets you experience Sydney’s history in the palm of your hand. “Convict Parramatta,” the second tour available through the app, is simple to follow with a GPS-enabled map of the route and its stops. At each stop, detailed text, audio commentary and stunning historical imagery reveal the stories of the people, places, architecture and events that have transformed Sydney. Content: Michaela Ann Cameron for the Dictionary of Sydney Actor: Rebecca Havey Cello composition: Raffaele Marchellino Sound Engineer: Andrei Shabunov Audio Producer: Anna Messariti Location photography: Michaela Ann Cameron Historical imagery: Bank of England Archive, National Library of Australia, State Library of New South Wales, State Library of Victoria, State Records New South Wales, Sydney Living Museums, Tauranga City Libraries. Some images used in this app are in copyright. To seek permission to reuse any of the images within this app, please check the image credit and contact the source organisation. Authors (further reading): Michaela Ann Cameron, Nicole Cama, Robyn Derricourt, Laila Ellmoos, Shirley Fitzgerald, Ian Hoskins, Terry Kass, Chris Levins, Terri McCormack, Gary L Sturgess, Anne-Maree Whitaker. Acknowledgements: This project has been assisted by funds allocated to the Royal Australian Historical Society through the Heritage Branch of the NSW Office of Environment and Heritage. Thanks Thanks to Jacqueline Spedding, Coordinating Editor, and Jenny McInerney, Editorial and Research Assistant, at the Dictionary of Sydney.